A player can see the status of their invites by clicking on the Invite a Friend icon on the All Cards screen. 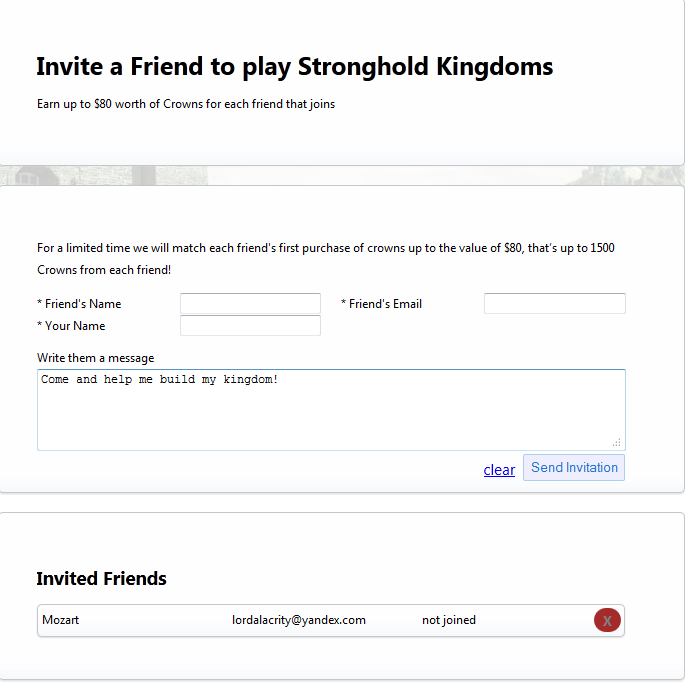 This will open a page in the web browser which shows all of the invitations that they have successfully sent, as well as if the player has joined the game and if they have purchased crowns. If you do not see the invited friend in your list, this means that you have not successfully invited them. If the friend does not join the game via the invitation you sent, you will not be able to claim your free gift if they purchase crowns. We are unable to retroactively invite a player for you, or credit your account with a matching gift of crowns if the user did not join the game via the invitation.